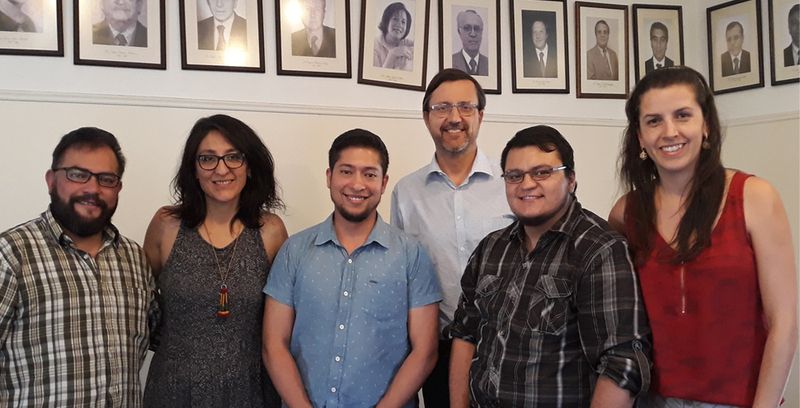 On December 12th, OTD Chile met with Soched, the Chilean Endocrinology and Diabetes Society, President Pedro Pineda and two of its members to discuss the requests submitted by the organization and the new work being carried out by their associate doctors. This is the first time that the Association meets the Society of Medics, as a result of the letter presented during the manifestation held on October 21st, which requested a collaborative work and a bilateral dialogue to advance in the total depathologization of trans identities. The meeting made progress in two areas: on one hand, the future formation of a group of specialists dedicated to the assistance of trans people; and a possible collaborative work of training between Soched and OTD Chile. The work is expected to resume in March 2019. During the meeting, the executive coordinator of OTD, Michel Riquelme; the coordinator of legislation and public policies, Franco Fuica; and the coordinator of Health, Leonel Catoni; in addition to the doctors Carolina Mendoza and Cecilia Pereira participated.